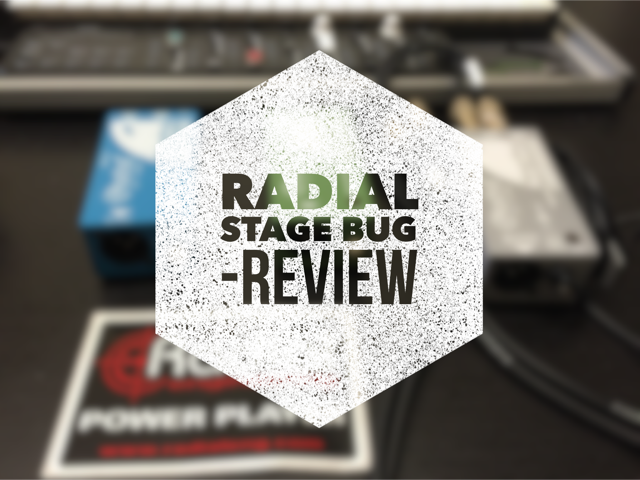 I’ve been truly impressed by the Radial Stage Bug range of DI boxes. They really fit a great need in the market for more affordable solutions while retaining the standard of Radial quality that the brand is known for in the industry. 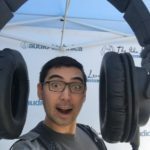 So there is now no excuse for harbouring inferior products on stage that degrade the quality of the sound its passing through (like the “B word” products do). While there are a few more products in the Stage Bug lineup, the following 3 I find myself using quite often in a variety of situations. "one of which lives permanently in my acoustic guitar case"
With a freshened up version of the classic radial color scheme, this light bright blue box is the active version of the 3, requiring 48+ phantom power for operation. It is a great sounding little box, one of which lives permanently in my acoustic guitar case. Again following the traditional color scheme, this light green box is a straight forward passive DI. It has a similar layout as the SB-1 but it does not feature a phase reverse function. It does however imbed some input structure flexibility with an auto-sum feature. The typical through output can be alternatively used as a second input which would then be summed with the main input and channeled out of the XLR as mono send. 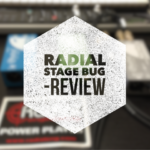 I’m so glad radial decided to incorporate this into the Stage Bug series. It’s a great compact DI designed specifically for use with laptops or other devices with standard 3.5mm (1/8”) headphone sockets. The headphone jack cable comes built into the DI which means you can’t loose it! It also does the mono sum out of XLR plus gives you the option to run stereo out of the 6.5mm (1/4”) outs. One of these permanently lives with my MainStage rig. Can you describe the ground lift in the SB-1? I have a Pro48, which uses an isolated power converter to maintain phantom power when Pin 1 is disconnected from the DI box chassis. As far as I can see, the isolated power converter is not in the SB-1. In this case, how can it disconnect Pin 1 and maintain phantom power? Also, why is the ground lift switch made deliberately inaccessible? Hi Mark, I’m not really an electrical engineer, just like using quality gear that sounds good… I’m guessing the switch is tucked away because there’s not much space left on the ends for another switch.